The Tamiya 1/24 RC Heavy Dump Truck Model Kit. 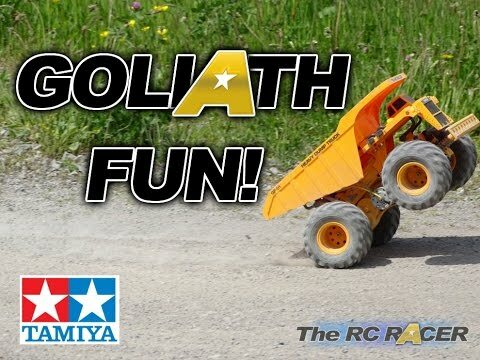 This R/C assembly kit depicting a dump truck modeled upon those which do the heavy work in locations like quarries and large-scale construction sites. The model is based on the popular gear-driven GF-01 chassis. Click here to see a build article.